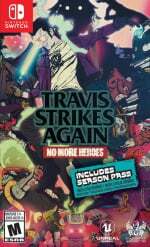 A new presentation focusing on Travis Strikes Again: No More Heroes has revealed a couple of crossover events which will combine the No More Heroes spin-off with the upcoming Dragon's Dogma: Dark Arisen on Switch. First up, a t-shirt featuring the Dragon’s Dogma: Dark Arisen logo will soon be appearing in Travis Strikes Again, joining the ever-growing collection of in-game shirts which also includes a lovely Zelda: Majora's Mask design. You can see it for yourself in the image below. 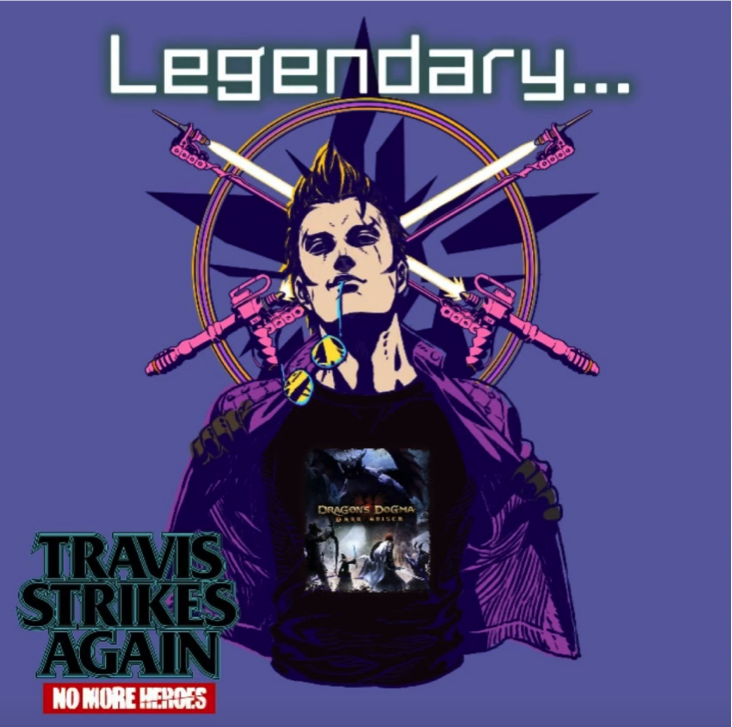 Ensuring that Dragon's Dogma doesn't get left out, the game will receive a Travis Touchdown pawn. This pawn wields Travis' signature beam katana and will be available for free as an additional download when the game launches next week. We're sure you'll agree this is a nice touch for fans of each game, and especially those who just so happen to love both. 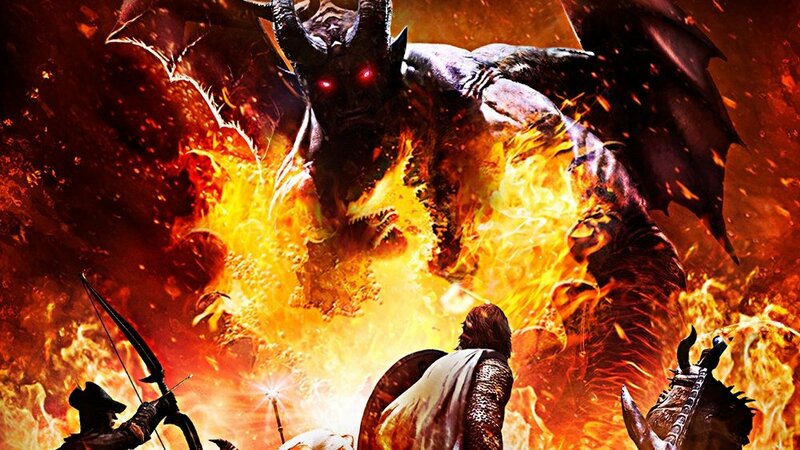 Are you planning on picking up Dragon's Dogma next week? Let us know in the comments. Neat. 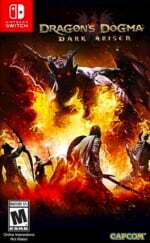 Haven't played Dragon's Dogma before but going to import a physical copy and give it a go. Suda51 and Capcom are collaborating again, so...Killer7 on Switch when? Is this just for the Switch version or for PS4 as well? ...I'm sold on Dogma Switch now. @ilikeike Most likely it will coming but probably have to wait for it if you saw the old news about working process to the "extended" version. I’m surprised this is the crossover they would get for Dogma, Zelda feels like a no brainer obviously. Dogma and Botw share a lot of DNA and years before Botw released Dogma was the game that captured the feel of classic Zelda. @BenAV So wait theres no physical release for the West/NA? Oh snap! I mean, was already getting dragon's dogma but now I'm REALLY getting it. @Bizzyb North America has a physical release. That's where I'm importing from, haha. I live in Australia and we don't have a physical release, same for Europe I think. I'm looking forward even MORE to MORE No More Heroes though. Any way to get that beam sword for the player character? That's what I'd like to know. This is so dumb and lore breaking... I need this so much. I just hope he doesn’t talk a lot. It took a bit to train my pawn to shut up.